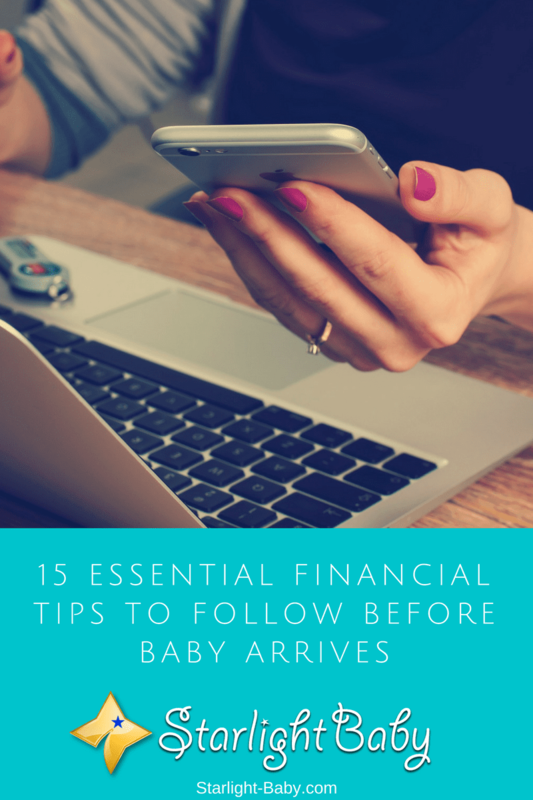 In order to plan for baby’s arrival, you first need to assess your current financial position. What’s your current incomings and outgoings? Do you have a lot of debt? Getting on top of your current situation is vital if you want to ensure you’re financially stable when baby comes along. It could be a good idea to get a copy of your credit report if you don’t already have one. That way, you can see if there’s any areas you need to work on. If you do have debts, now’s the time to start getting on top of them. Even if you can’t pay them off before baby arrives, getting them down as much as you can will make a massive difference. A common mistake new parents make is assuming a lot of the costs of giving birth and registering the birth, are included in their health insurance policy. The last thing you need is to think the initial hospital costs will be covered, only to discover too late that they aren’t! So, assess your current health insurance plan. Does it include your medical bills and prenatal care? If not, you’ll want to shop around for a new policy. However, keep in mind that even with health insurance, there’s still going to be some things it doesn’t cover. Being aware of these prior to giving birth can save you a lot of financial stress. One great way to eliminate some of the costs of providing for your new baby, is to create a baby register. It’s common for friends, family members and even work colleagues, to buy congratulatory gifts once baby arrives. So, why not ensure you get gifts which will help you out financially? They don’t have to be expensive gifts. Add things to the registry you’re going to need a lot of, such as diapers, baby wipes and burp cloths. They may be small, but it’s surprising just how much you’ll end up spending on these little essentials once baby arrives. Having a stockpile of these essential items will save you a lot of money. It’s really important to factor in the cost of maternity and paternity leave. Many parents find they don’t have the luxury of taking much time off work due to childcare costs. So, the earlier you plan for any time off work, the less stressful it will be when baby arrives. Check with yours or your partners employer to see just how much time off is allowed and whether you’ll be paid during that time. Research your state’s laws to see what you’re entitled to. Understanding how maternity or paternity leave will impact your finances is crucial if you want to ensure you don’t struggle too much. There’s a lot of expenses you may not have considered in your pregnancy preparations. We’ve already mentioned the cost of diapers, but don’t forget the additional food, clothing, child care and other everyday essentials. Create a list of everything you’re going to need to pay for on a daily/weekly basis. Research the cost of these essentials and make a note of the cheapest stores, both online and offline, you can buy things like diapers from. You should also research any financial help you may be entitled to in your state towards these additional costs. If you’re preparing for the costs of parenthood early on in your pregnancy, you have the opportunity to start a baby savings fund. Ideally, you’ll want to start this as early as possible. Each month, or each week depending upon when you get paid, put a little money into your baby savings fund. That way, once baby does arrive, you’ll have a lump sum to get you started. The more you can save, the less you’ll need to worry once baby is born. If you don’t already have life insurance, now’s the time to invest in a good policy. Nobody wants to think about death, but when you have a child it’s important to make sure they’re protected. Would your partner be able to cope financially if something were to happen to you? Would your baby be financially protected? If not, a life insurance policy may be essential to your family. You’ll also want to add your child as a beneficiary onto your policy and draft up a will. Sorting this out before baby arrives will really give you peace of mind. If you can afford to, it’s a great idea to start an emergency savings fund. This can be used during times of financial difficulty. Some costs you’ll experience as a new parent can be totally unexpected. So, to avoid potential stress and worry, saving up an emergency fund is a fantastic idea. Of course, anything you can save will be beneficial, but it’s a good idea to try and save enough to cover you for a few months if anything were to happen. Even if you plan on staying home and looking after baby while your partner works, you’ll still want to plan for daycare expenses. Whether it’s for times where you simply need a break, you need to return to work eventually, or it’s to aid your baby’s development, daycare is an important financial consideration. Start looking into your local daycare options. Find out the cheapest options and how often you’ll likely need to use daycare services. Having a good understanding of how much daycare will cost, can help you to prepare for the financial responsibility. It’s really important to know that not all pediatricians will be covered in your insurance policy. So, before you hire one, double check they are included in your premium. If not, figure out whether you can afford their services without the help of your insurance policy. Remember, baby’s first appointment with the pediatrician takes place within the first week after giving birth. So, this is a cost you’re going to want to work out early on. It’s a good idea to actually contact your insurer to see whether your chosen pediatrician is included. This will prevent you from experiencing any unexpected costs once baby arrives. Did you know that you’re much more likely to need to use disability insurance than life insurance? So, if you don’t have this type of cover yet, now’s the time to look into it. A disability insurance policy typically covers you if you need to take time off work due to disability. Of course, all insurance policies are different, so it’s important to research the different types available. That way, you’ll be able to find one which best fits your circumstances and your budget. It’s easy to put your retirement savings on hold when you’re expecting a new baby. With so many other things to pay for, it can seem like retirement funds can wait. However, if you stop saving for your retirement, you could end up with not enough funds to cover you later in life. This would mean your child would end up footing the bill. Continuing to save for retirement is therefore important for both you and your baby. Even if you can only save a small portion of what you once did, any money you put into it will prove beneficial. Another thing to save for? Sadly yes! College may seem like a long way off, but it’s surprising how quickly time goes by. Before you know it, your baby will be all grown up and ready for college. As you may already know, the costs of college and university can be extremely high. So, the earlier you can start saving for your child’s education, the better. A great tip to help you plan your finances, is to talk to other parents. There’s a lot of forums online you can sign up to if you don’t know any other parents in a similar position, and we even have one of our own that you can sign up for by clicking here. By talking to other parents, you’ll be able to get essential tips on saving money on everything from the everyday essentials, to maternity leave. You may just be surprised by the awesome tips other parents have. So, find a mentor and learn as much from them as you can. To ensure the financial changes don’t come as a huge shock when baby is born, why not practice following your new budget now? It can take time to change spending habits, so starting before baby arrives is a great way to get financially prepared. Same here, hadiza. My husband and I didn’t have any plans about how things will be once we have a child. We just went with the flow of things. And you’re right, it is difficult financially if you’re not prepared prior to having kids. Once you have kids, all earnings seem to drain so fast. The core message that I found in this article is all revolving around saving for the new born arrival because there is definitely going to be an increase in the initial expenses one used to have before be baby. Baby food aren’t cheap unless one is making use of homemade meals for the child but I really don’t encourage that. True, Martinsx. Financial preparedness takes the bulk of preparation because there will be a lot of expenses. Prices of diapers, milk and baby foods have dramatically increased over the years and these will be necessary expenses for baby. Yeah, it pays more to prepare on time than to have everything being rushed when the baby arrives. It’s going to add more pressure on the parents to being to budget and plan with the baby already born. That’s true. Preparation is the key, otherwise, parents might not save enough. Baby expenses, especially unexpected ones, often add a strain on the family budget. When my wife was in the 7th month, she took a maternity leave. I knew that she will not be able to go back to work until the baby is 4 months old. The entire financial responsibilities were rested o my shoulders. If we had not planned the baby since more than a year, it would have been very difficult for us to manage. We planned the baby in on year advance and began saving money. By the time, my wife was pregnant, we already had enough money to pay for every thing. Wow! That’s really great. Good for you. You both know what your responsibilities are as parents. Congratulations! Starting a baby savings fund is one of the best ways to ensure that the stress of training of the child when he or she is old enough to go to school is minimised. The thing about this is that you get to have extra fund that you can use in sending the child to school at the first time before you start planning again for higher institutions that he or she will enter. Also, planning for maternal leave at an early stage we ensure that you don’t get your company that you work for under pressure to grant you permission since they are aware that you’ll be delivering your baby at a particular date. So, both are one of the best ways that nursing mothers can use to enjoy the period of child delivery. Yes, you’re right. Starting a baby savings fund as soon as possible would save parents a huge headache once the baby arrives. Money just seems to keep pouring out once you have a baby so being financially prepared is important. That’s what I was saying in the sense that the amount of money parents spend once the baby arrives is quite higher than even the income made during such period, so taking out time to save up for the coming of the baby will give the parents some sort of peace of mind once the baby is born and that’s amazing.